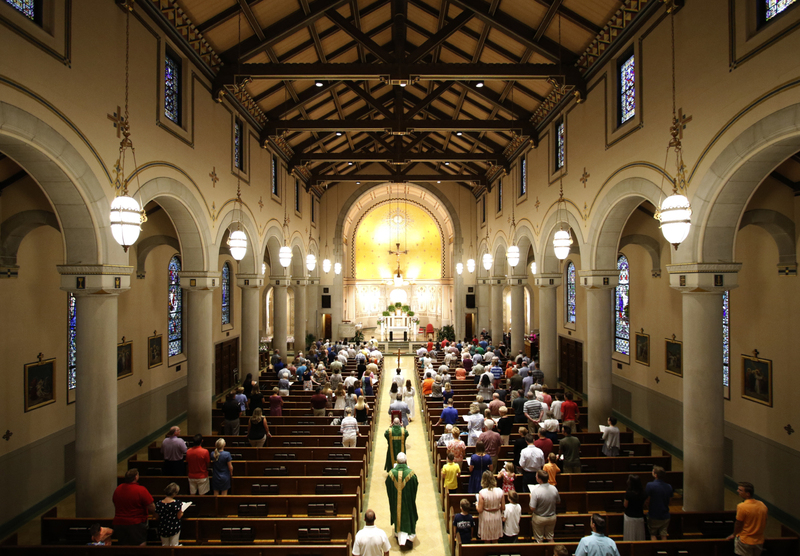 Baptism - Baptisms are performed on the first and third Sundays following the 11:30 a.m. Mass or during the 4:00 p.m. Saturday Mass by request. Parents must be registered parishioners and are required to attend a Baptism preparation class. Reconciliation - The Sacrament of Reconciliation is celebrated regularly on Saturdays, 2:30 - 3:30 p.m., Thursday before First Friday, 10:30 a.m., and 3rd Tuesdays, 6:30 - 7:30 p.m.
Preparations for first Reconciliation are coordinated through the Office of Religious Formation. Children are required to have one full year of religious instruction prior to the year in which they expect to celebrate sacraments. To see all dates and activities pertaining to first reconciliation 2018, click HERE. Eucharist - Gluten-free hosts are available upon request. Please see the priest before mass. Preparations for first Holy Communion are coordinated through the Office of Religious Formation. Children are required to have one full year of religious instruction prior to the year in which they expect to celebrate sacraments. To see all dates and activities pertaining to first Holy Communion 2019, click HERE. Priests take communion and hear confessions for the sick and shut-ins during the week of First Friday. Holy Matrimony - To be married at Blessed Sacrament Church, at least one party must be a registered parishioner. Couples are required to meet with a parish priest or deacon to discuss marriage preparation. Please call the parish office at least six months in advance to reserve the church. Music Director Matt Spencer is available to help plan your ceremony’s music and should be contacted separately to make arrangements. Holy Orders - In the Sacrament of Holy Orders, or Ordination, the priest being ordained vows to lead other Catholics by bringing them the sacraments (especially the Eucharist), by proclaiming the Gospel, and by providing other means to holiness. Anointing of the Sick - Anointing of the Sick, formerly known as Last Rites or Extreme Unction, is a sacrament of healing appropriate for those with a serious illness or debilitating condition.